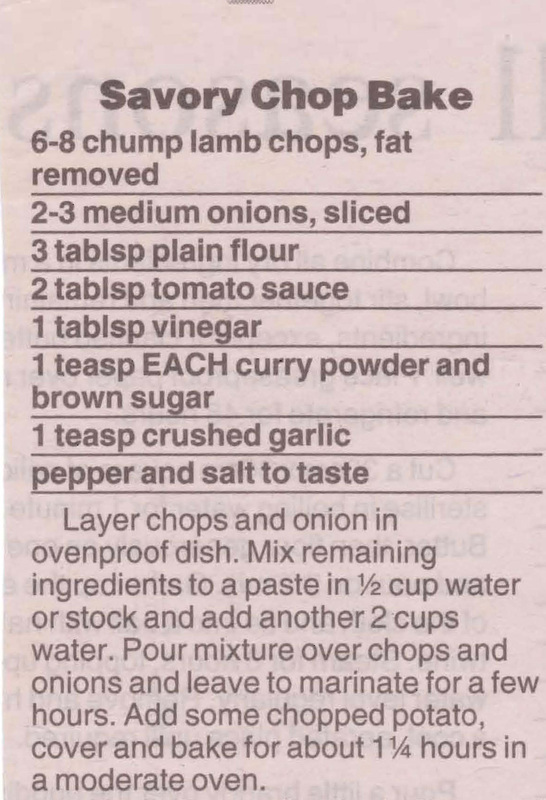 I know it’s a bit cold at the moment for barbecuing, but this is a great marinade for pork chops and you can always grill or pan fry them until the weather warms up a bit. 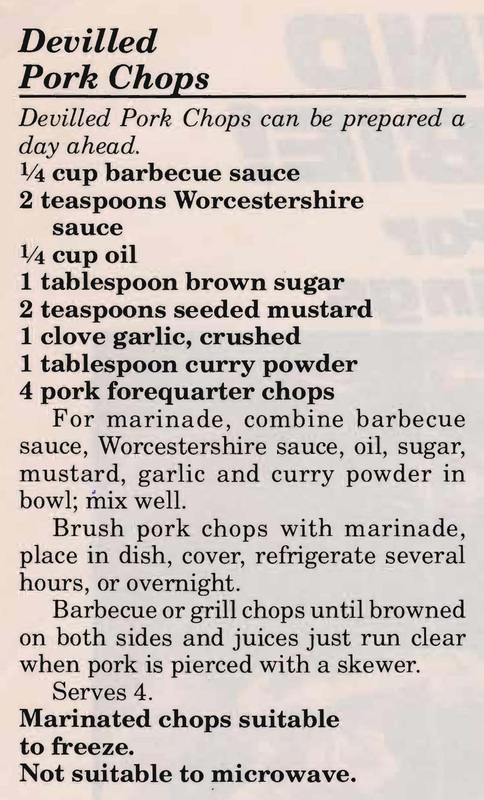 Although the sun might be shinning and it’s not quite picnic season yet, I couldn’t resist adding this recipe to the collection. 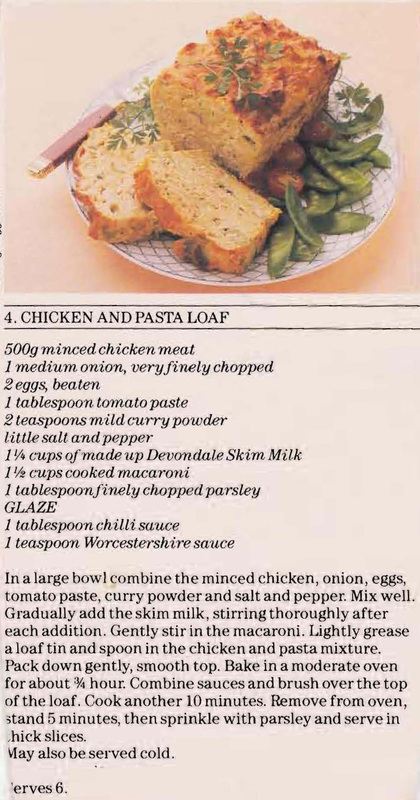 Of course you could have it hot for lunch or an evening meal with vegetables, but cold with a few slices of fresh bread and a little chutney………..yum. 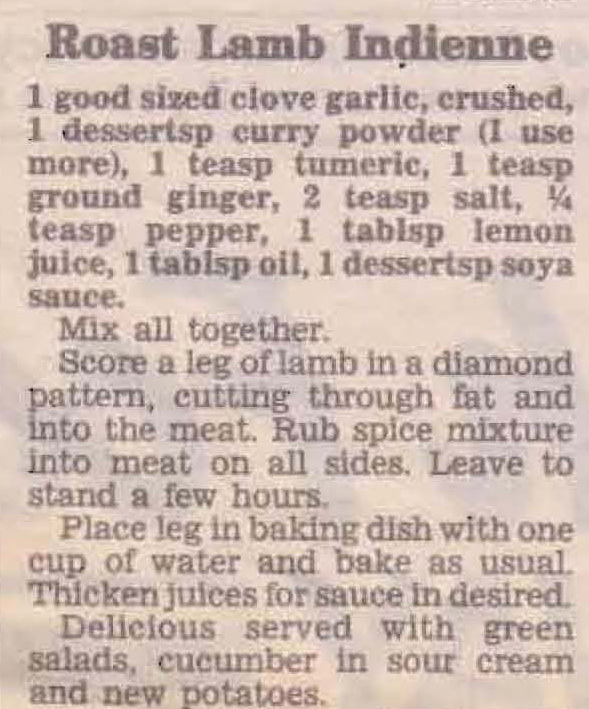 A curry to my Mum was always made using curry powder bought from the supermarket. There were no jars of curry mix in all the levels of heat that you can buy now and no one made it from scratch using individual spices. You either put in one tablespoon of curry powder or more depending on the heat you wanted. So this recipe is in no way a modern curry, but Mum and Dad didn’t like their curry hot and they did like smoked cod so this worked for them. When I make it I always put in some peeled potatoes that soak up the sauce and taste great. Wash fish cut into bite size pieces. Saute onion and garlic in oil for 10 mins and stir in the curry powder. Stir well and cook for a few mins. Add water gradually stirring all the time and bring to the boil. Stir in the tomato puree. Put in fish and potatoes, cook very gently, low heat 30mins. 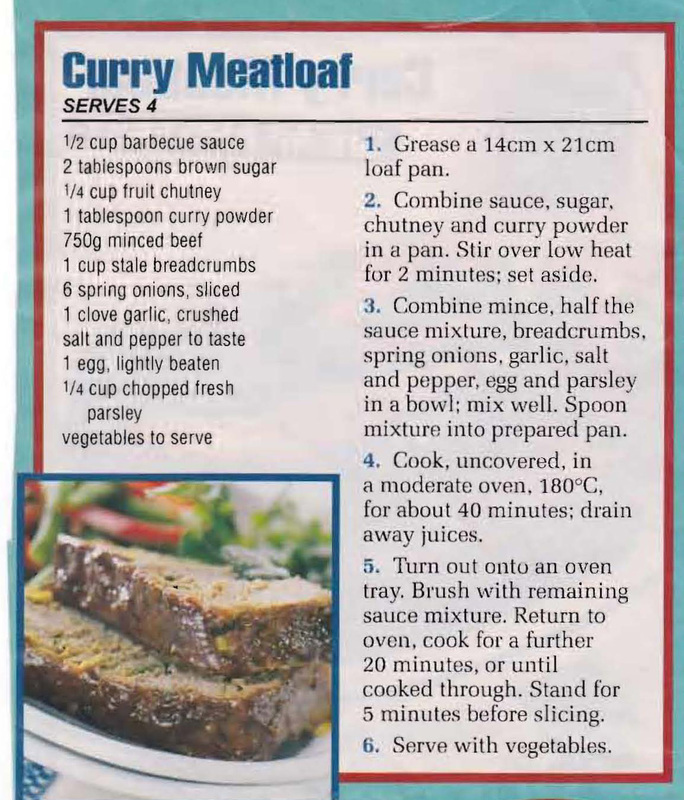 This meatloaf is a bit of a change from the standard mince steak/sausage meat combination. It has a sweet curry flavour which makes it just that bit different and it’s good hot or cold.